It's the most exciting night of the year for the green of heart! 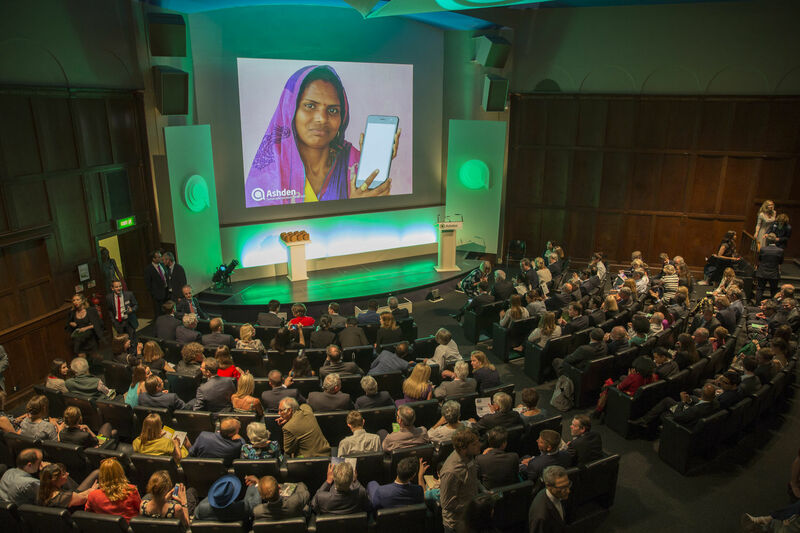 Join us for an evening of inspiration and positive solutions at our annual Awards Ceremony - #Ashden18. Celebrating excellence in sustainable energy innovation around the world, 10 Awards will be presented on the night and we are delighted that our keynote speaker this year is Christiana Figueres whose unstoppable energy led to one of the most important climate deals of our time - the COP21 Paris Agreement. Now in its 18th year, the Awards Ceremony is the culmination of a rigorous judging process - involving a panel of industry experts and technical assessments - to uncover the sustainable energy heroes who are championing a brave new low-carbon world and making it easier for others to join in the fight against fossil fuels and climate change. Tickets include wine and canapes. Announcing the 2018 Ashden Award winners! Get tickets to this year's International Conference. A Green and Prosperous Land: A Blueprint for Rescuing the Countryside.